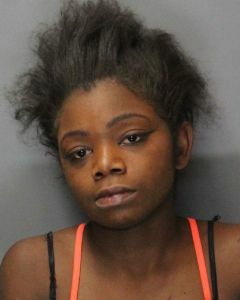 A Sacramento woman remains in custody at the Sacramento County Jail after being arrested by Elk Grove Police on one misdemeanor and two felony vehicle code charges. At approximately 6:30 p.m. on Wednesday, October 4 a vehicle operated by Aeiryn Warren (pictured above), 19, was allegedly involved in an accident near Power Inn and Sheldon roads. Instead of stopping to exchange information, Warren fled east on Sheldon. A witness followed Warren to the intersection of Heatermist Way and Springhurst Drive in the Camden neighborhood where she reportedly was involved in another collision. After that collision Warren allegedly fled the scene on foot but was found hiding in bushes by responding police officers. Warren is said to have displayed objective signs of impairment and performed poorly on a field sobriety test. After being medically cleared at an area hospital, Warren was arrested and booked into the county jail. The suspect is being held on $60,000 bail for felony impaired driving and involvement in an accident resulting in injury and misdemeanor hit and run. Arraignment is scheduled for Friday, October 6.